PDC*line Pharma grants exclusive license in South Korea and exclusive option in other Asian countries to LG Chem Life Sciences Company, for the development and commercialization of PDC*lung cancer vaccine for lung cancer. PDC*line Pharma is currently hiring an Associate Clinical Project Manager. Eric Halioua, President & CEO of PDC*line Pharma will present the company at the World Immunotherapy Congress USA 2019 taking place March 4th, in the Grand Hyatt, San Diego (USA). 👉 Don’t forget to step by and meet him there! Founded in April 2014 in Grenoble (France) as a spin-off of the French Blood Bank (Etablissement Français du Sang, EFS), PDC*line Pharma is a Belgian-French biotech company that is developing a novel class of off-the-shelf cancer immunotherapies based on a proprietary Plasmacytoid Dendritic Cell line (PDC*line) pre-loaded with peptides that are derived from target tumor antigens. Based on a robust preclinical package and a first-in-human phase Ib feasibility study in melanoma, PDC*line Pharma is focusing on lung cancer with a new candidate in early clinical development (PDC*lung) and neoantigens (PDC*Neo). PDC*line Pharma comprises a team of highly skilled professionals based in Liège (Belgium) and Grenoble (France). Melanoma is often easier to detect in its early stages than most cancers. However, it is also more likely to spread (metastasize) to other parts of the body, and 16% of patients are first diagnosed at an advanced stage. Despite new treatments, prognosis for this late-stage disease is very unfavorable (5-year mortality rate of 85%). Lung cancer remains the most common malignancy after breast cancer for women and colorectum cancer for male, and deaths from lung cancer exceed those from any other malignancy worldwide. The number of lung-cancer-related deaths worldwide for 2018 is estimated to represent the leading cause of cancer deaths, with 18.4% in both sexes. Non-smallcell lung cancer (NSCLC) is the most common type of lung cancer, representing 80% of lung cancer cases and accounts for approximately 2.1 million new cases world-wide annually (Globocan). 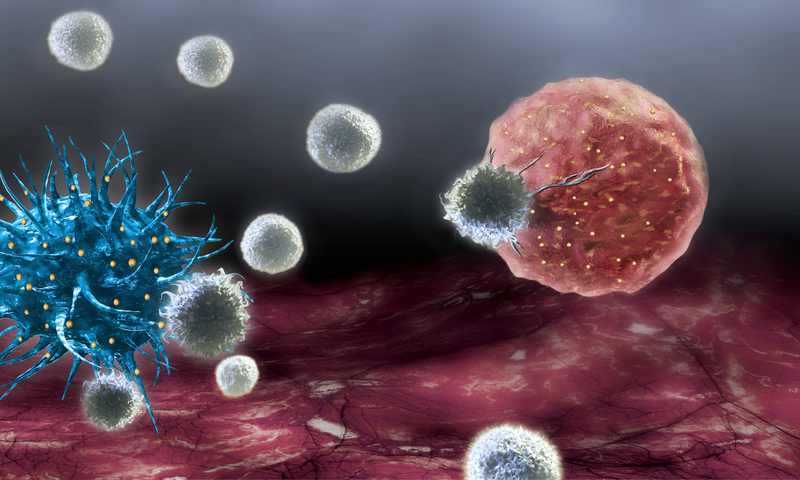 PDC*line, our proprietary allogeneic cell line of Plasmacytoid Dendritic Cells solves the industrial limitations faced by immunotherapies based on dendritic cells currently on the market or in clinical development. Additionally PDC*line is much more potent than conventional dendritic cells to expand anti-tumor CD8+ T cells in vitro.